The image above was captured right off ESPN's homepage this morning. 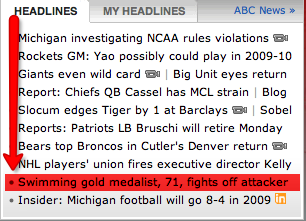 My guess is a few years ago it would have said something like, "Olympic Gold Medalist fights off attacker." Now it seems important to mention that it was a swimmer. Next there is Natalie Coughlin "Dancing with the Stars" this fall on ABC. 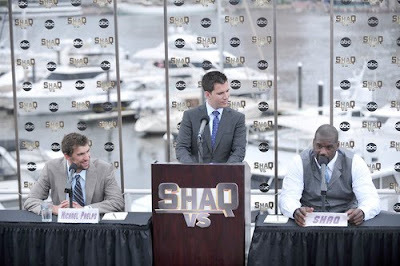 And then of course there is the whole "Shaq Vs" phenomenon. 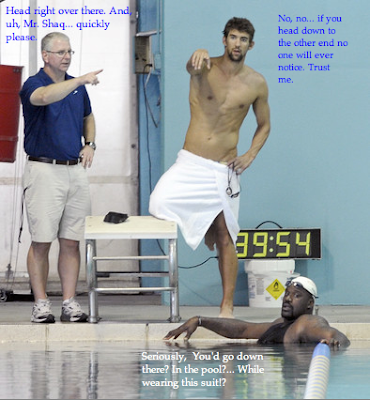 Do you think Shaq is thinking, "Man, I am racing the greatest Olympic athlete of all time?"